Released in 2011, Butter London No More Waity, Katie is a polish that I've been desiring for a long time, not because of the Kate Middleton connection but more for the gorgeously murky lavender shade jazzed up with lilac glitter. 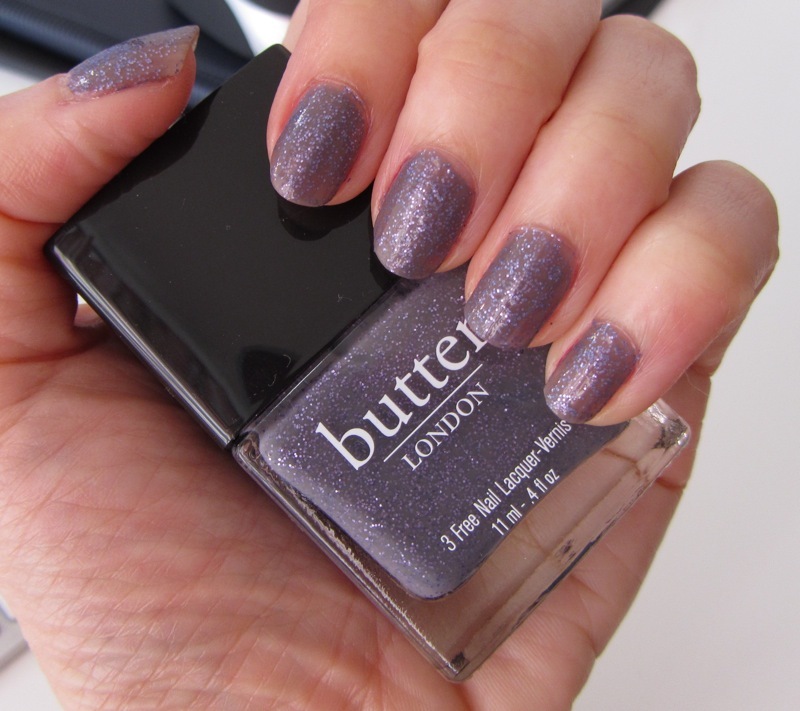 Although Butter London describes it as a "soft, elegant greige shade with a splash of lilac glitter for the perfect marriage to combine fashion and fun", it does not look greige to me, but more of a greyed, dusky purple. 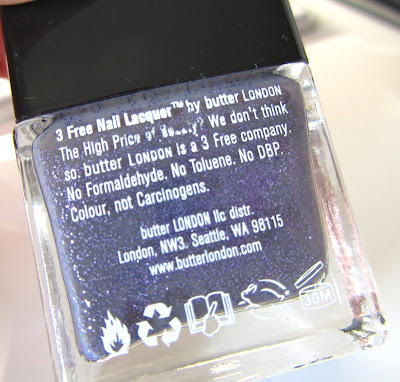 Like Dior lacquers, the outer cap pulls off to reveal a more user-friendly round inner cap with the Butter London signature bird. The brush is quite standard. No More Waity, Katie is a three-coater as it applies sheer. On the first coat, it gives the nails a greyish translucent tint with flecks of the lilac glitter. Only on the third coat does it show the promise of how it looks in the bottle. 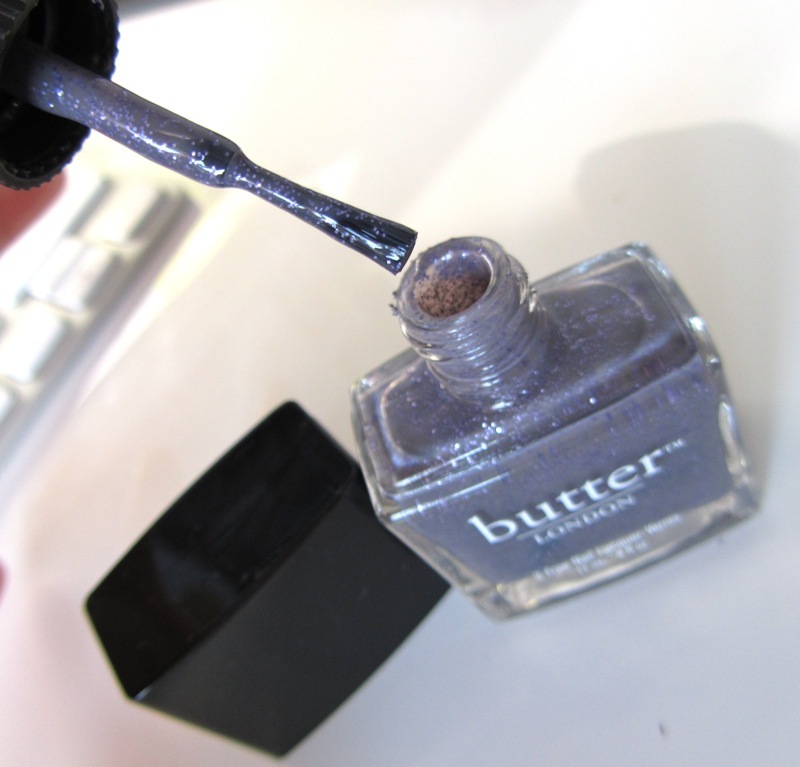 Layering it over a darker shade is probably necessary to achieve full opacity. I used OPI Ridge Filler as the base. 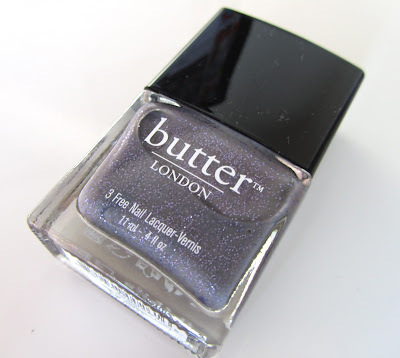 Due to the glitter bits, the surface feels slightly bumpy, but this can be smoothened out with a top coat. It dried down quite nicely in about ten minutes without any top coat. 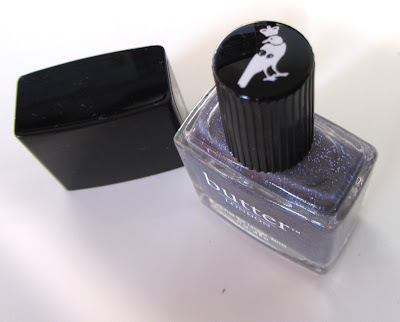 While the sheerness was disappointing, I still love the shade as I don't have anything like it in my collection. I purchased this from Zuneta.com. See more swatches on Lipglossiping and All Lacquered Up. I just applied the same colour yesterday too! For me, it is opaque in 2 coats. Certainly no disappointments there! I also used OPI Ridge Filler basecoat but I did top it up with a topcoat (Dior) to prolong the wear. That's the exact same combination I'm using. The Dior top coat is excellent without the premature thickening issues of Seche Vite. Liked the sheerness but looks so much nicer on you than on me! You make me want this! It would so match Stila Amethyst which I'm loving!